Review Historically, commercial photographers have always relied on medium-format systems for their photo shoots and happily traded off manoeuvrability for image quality. Yet, when the Leica S2 became available to buy towards the end of 2009, things changed. The S2 pushes the boundaries of all flagship DSLRs, giving Nikon, Canon and the like, something to think about. 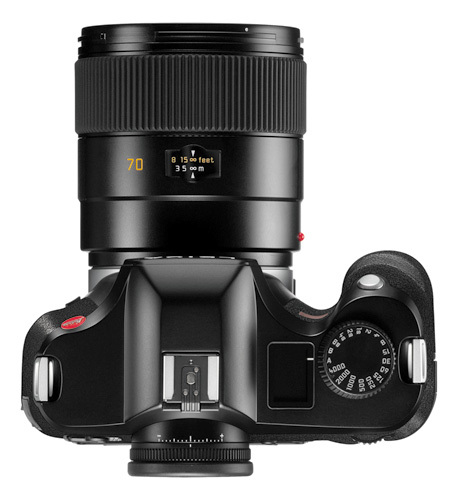 To all intents and purposes, the Leica S2 is a medium-format camera in a DSLR body, exploiting the best of both worlds. It uses a 37.5Mp CCD sensor with the same pixel size of the Nikon D3x on a surface 56 per cent larger than 35mm full-frame and only 7 per cent smaller than shooting film on a conventional medium-format camera. While the S2 design was a technical achievement in itself, Leica had to deliver a lens series to match that the company claims are “devoid of all optical and chromatic aberrations and require no software correction”. Now that’s a tough statement to live up to and only recently has the optics count increased to four, with the addition of the APO-Macro-Summarit-S 120mm/f2.5 lens, which will set you back about £5k. I was lucky enough to have a first taste of of this new lens – a short telephoto with a large aperture that’s ideal for portraits – at Leica’s Mayfair showroom for a brief studio session. With only one of this model available in the country it was no surprise that Leica wouldn’t lend it out for reviews in the field. With the 120mm lens mounted on it, the S2 looks and feels just like a top of the range DSLR, with comparable weight, size and comfortable, ergonomic handling. The viewfinder is bright and big, and the large focus ring on the lens is a pleasure to use. 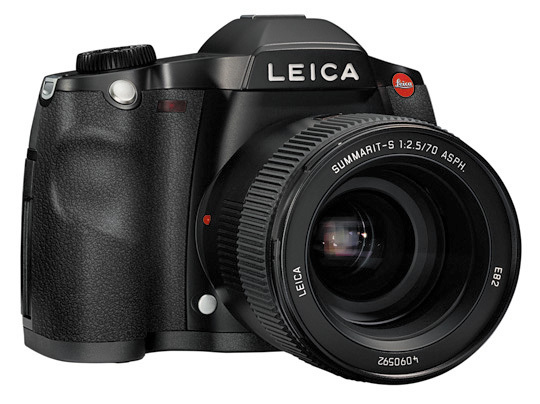 Like most Leicas, the layout is simple and the body is as uncluttered as it can be. On the top plate there is only the shutter speed dial, the shutter release – which sits at an angle on the front of the body – and a small colour status display. The shutter speed dial is a good size but does not lock into place, making inadvertent setting changes too easy, especially if shooting on location. The other obvious omission is the mode dial, which is replaced by a thumb wheel on the back. It’s a less than intuitive choice for most DSLR users and again a likely casualty of accidental changes.